Yes it is June and the year is half over, but the winner for album of the year has already been declared. 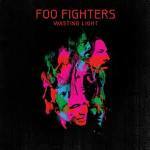 Foo Fighters released the epic album “Wasting Light” back in April of this year. With a fresh outlook on the band after taking some much-needed time off to explore other projects (Dave Grohl had Them Crooked Vultures featuring Josh Homme of Queens Of The Stone Age and John Paul Jones of Led Zeppelin; Taylor Hawkins released a second solo disc from his side band Taylor Hawkins and the Coattail Riders entitled Red Light Fever; Nate Mendel rejoined his former band Sunny Day Real Estate, along with William Goldsmith the Foo’s original drummer for a reunion tour; and Chris Schifflet released a solo effort called Chris Shiflett & The Dead Peasants). As seen in the documentary Back & Forth, this record was recorded in Dave’s house and garage on analog tape. This recording also marked the first time since Nirvana’s “Nevermind” that Dave and producer Butch Vig worked together (though that isn’t entirely true, Dave had contributed drum tracks to Garbage’s Bleed Like Me in the early 2000’s Garbage being Butch Vig’s band). Wasting Light features guest appearances by Bob Mould of Husker Du, Krist Novaselic and it welcomes back Pat Smear back into the band as a full-fledged member again. The album kicks off with the hard-hitting in your face “Bridge Burning,” and it grabs you right away and doesn’t let go. “Rope,” the first single continues in true Foo fashion, taking you to the next step on the journey of the album. Yes I said album, there is absolutely no filler on this release. Everything was meant to be on this record!! “Dear Rosemary” (my personal favorite cut from the album) has such a cool swagger to it, that you find yourself bobbing around when listening to it. Bob Mould’s vocals add such a wonderful essence to the listening experience. You’ll know what I mean when you listen. “White Limo,” this track is quite metal for the Foo’s, but given Dave’s influences it’s very apparent that this is indeed a gem. Check out the video for it as well. It’s a winner. The next track “Arlandria” has one of the best sing along moments on the album and begins to take the listener on yet another step on the cycle of the album. While there are no ballads on Wasting Light, “These Days” could easily be that, but instead it keeps rocking. “Back and Forth” features what the band does best and showcases it quite well. Next up “A Matter Of Time” has some elements of “The Color and the Shape” era Foo’s. Every instrument on this song shines brightly and provides that genuine trademark Foo rock sound. “Miss The Misery” seems to start yet another stop along the road, and begins its entrance into the very personal topics (not that the other songs aren’t personal at all, these next few just seem to have a cohesive flow to them). “I Should Have Known” perhaps the most poignant of them all is one of the most sensitive and sincere songs the band has ever put out. Krist Novaselic contributes bass and accordion to this track and you’ll know it’s him when you hear it. The strings and keys on the track give it such atmosphere, that along with the vocal melody really captures you and refuses to let you even attempt to steer away. The closing track on the album “Walk” puts the listener on a new path (perhaps toward the next album????). Everything you have come to know about the Foo Fighters on this album seems to be answered in this song. The resilience and fight (no pun intended) they have shown, leaves ten footprints on this song and takes a giant leap for the future. Foo Fighters have made yet another great album and perhaps have achieved their masterpiece on this one. While it’s open to debate as to what album everyone thinks is their best, this one sure gives you a run for your money. So do yourself a favor and take a few bucks and go buy a copy of this album, put it on and play it loud! Today is a new day filled with multiple opportunities. As the famous quote says “Carpe Diem.” And that is why I’m here. I’ve set out to guide others on a musical journey, to capture the imagination of those who might be lost, those who are searching for something more. Help the people out there that are longing for things that will influence themselves to do something great and break away from the generic norm. Granted there are a few things out there that are your standard run of the mill types, that might be construed as good. We accept them allow as guilty pleasures, hey we all have them. So sit back and enjoy all that encompasses music and what it has to offer. There are no boundaries to what is accepted here. Delve into what makes the band you love so great and where that sound comes from. Here at audioeclectica it is our goal to guide you along that path and help you succeed!.